At C.M.H.A. H.K.P.R. we make continuous quality improvement central to what we do. It is embedded into the four pillars of the Integrated Quality Management Framework which includes Strategic Planning, Resource Management, Risk Management and Utilization Management. The Management committee oversees the work of all C.M.H.A. H.K.P.R.’s Quality Improvement committees, listed below, and receives quarterly reports on work plans and activities. 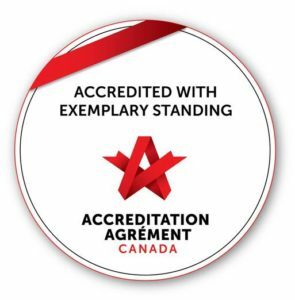 Each committee meets regularly to work on defined work plans which align with the annual operating plan and Accreditation standards. The committees are comprised of a mix of staff from different programs and most full-time staff are members of at least one committee. Our Lived Expertise Advisory Committee, comprised primarily of community members, provides valuable input to enable us to integrate consumer and family perspectives into our programs and services. 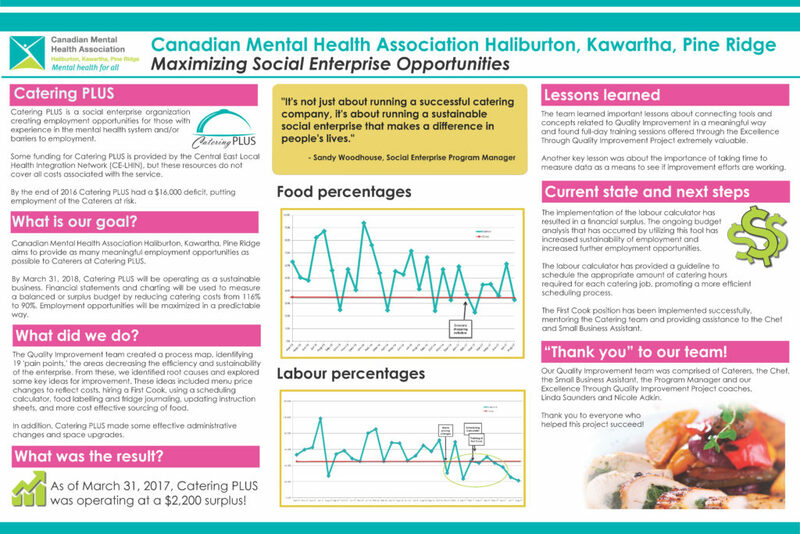 Read the profile from our recent project: Maximizing Social Enterprise Opportunities. View the presentation about our recent project: Maximizing Social Enterprise Opportunities. 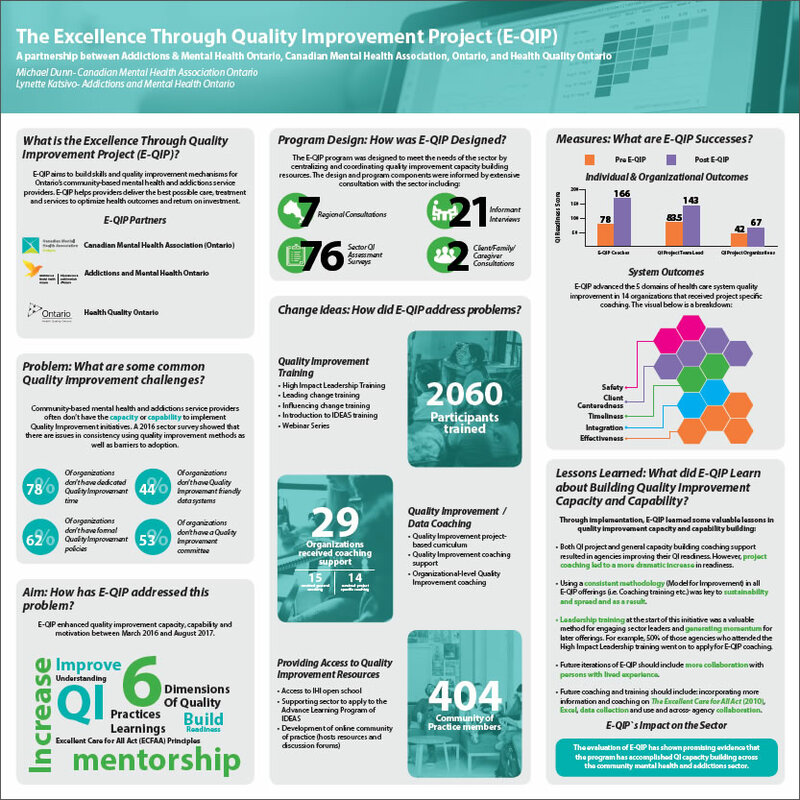 Learn more about the Excellence through Quality Improvement Project.